The twins were born 7 weeks early which comes with its own problems, but then they developed asthma from a very young age. They suffered allergies to lots of things, hayfever was a big issue, I could even tell when the grass cutter was coming! As they’ve got older their allergies aren’t as bad, but we’ve also learnt how to cope with them better too. 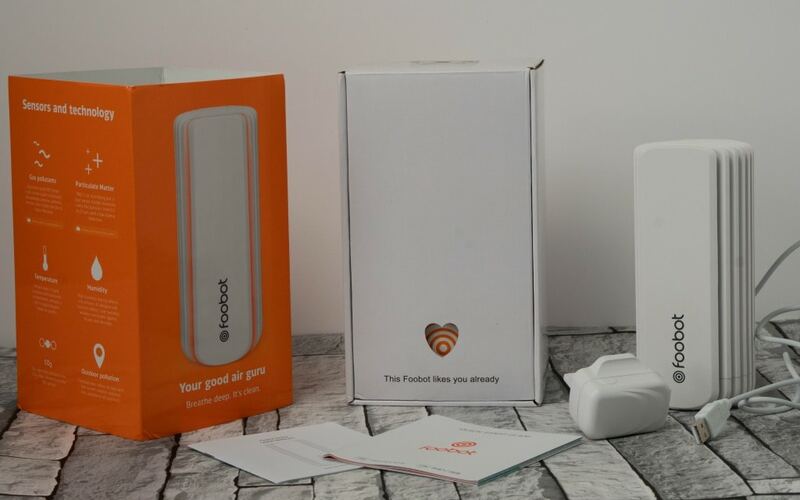 So when Foobot got in contact with me and asked if I wanted to try out their allergy air monitoring product, I was really excited to try it. I was looking forward to seeing how bad our air quality was like! 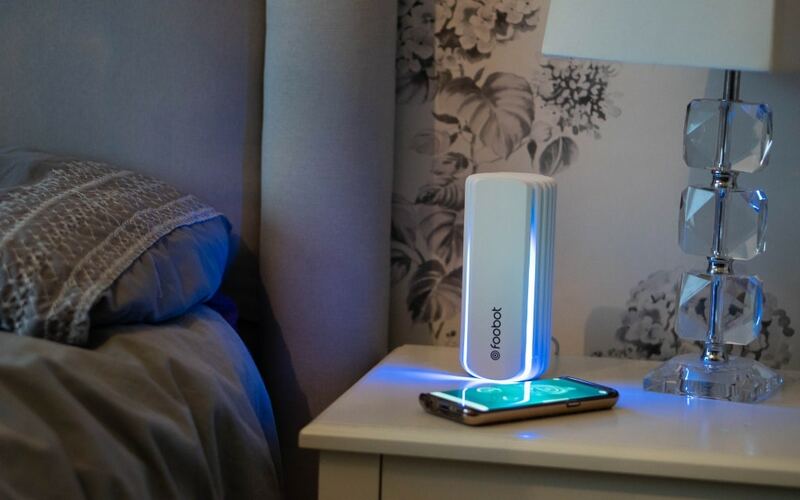 Foobot is an allergy air monitoring device which sits discreetly within your home and measures your air quality. Recent news from research conducted at Queen Mary University of London has highlighted how pollution can affect unborn babies as inhaled pollution particles can move from the lungs into the circulation and then to the placenta. 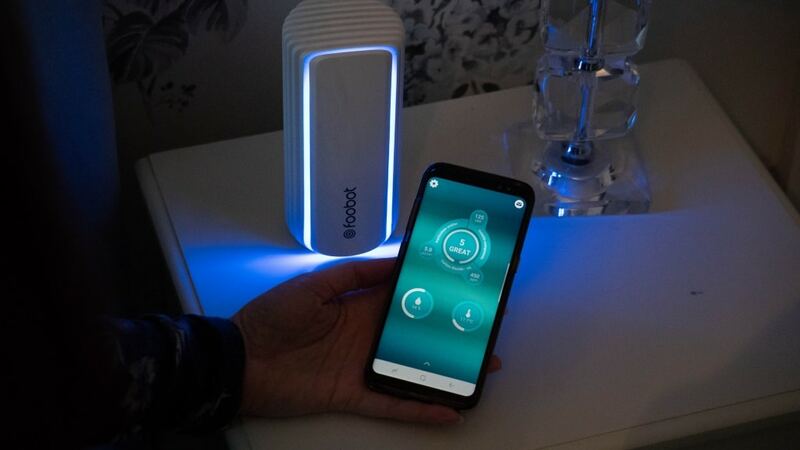 Foobot can collect readings of your air quality in your home which is then stored within the smart phone app. You can then use this to see if there any patterns. 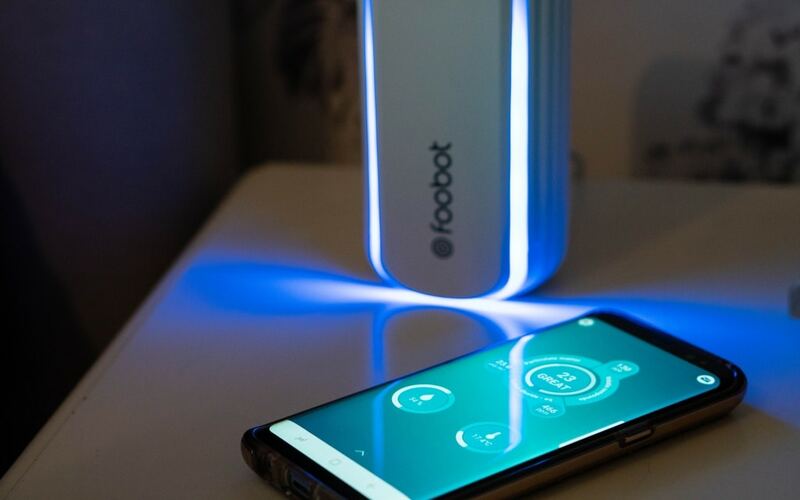 Why Would I Want A Foobot? If you have children like myself who have allergies, or even yourself. 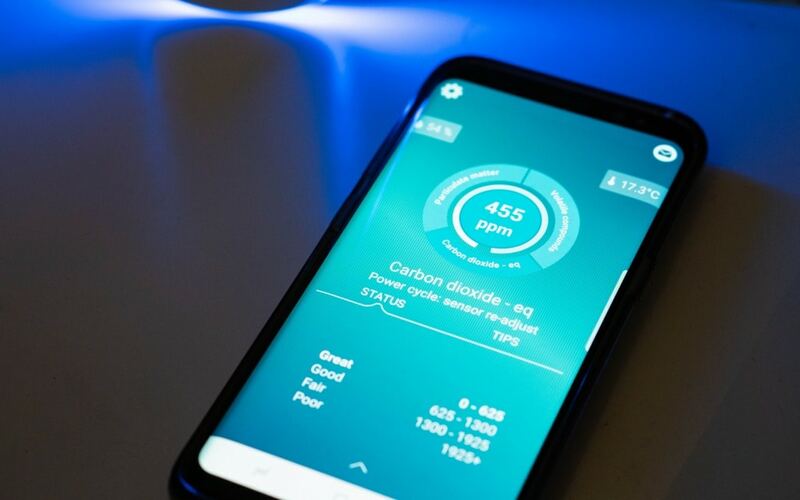 It’s really interesting to see how your house is performing with air quality. This is the air we’re all breathing in and surrounded by. With the recorded readings within the app you can notice any regular peaks and patterns. I noticed peaks when the kids all arrived home, kicking up the dust and bringing in the particles from outside. By learning what the air you’re all breathing in is like within your home, then you can start to make changes to improve it. Making steps towards improving your health. VOCs – Volatile organic compounds, toxic gases like formaldehyde and ammonia. 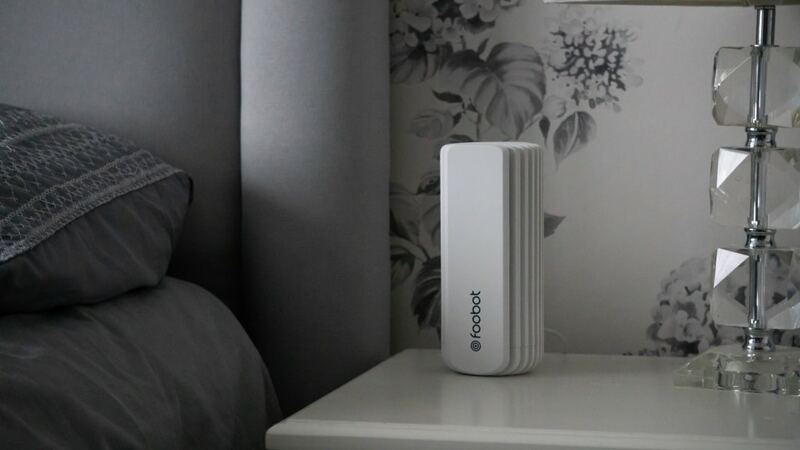 This sensor is also sensitive to carbon monoxide, a potentially dangerous gas. Carbon dioxide – Exhaled naturally from humans. Not itself harmful, but indicative of poor circulation. This is measured via data from other sensors. Humidity – Low humidity can cause irritation. Excessive humidity let mould and dust mites grow. This took me a little while to understand all the meanings for things and what was being measured. I did panic when I saw off the scale readings for the Carbon Dioxide but using the stored information, I noticed a pattern. It was when there was a lot of us in that room together and all doors and windows shut. After learning what all the different readings are and what they mean, it was very easy to read the Foobot. 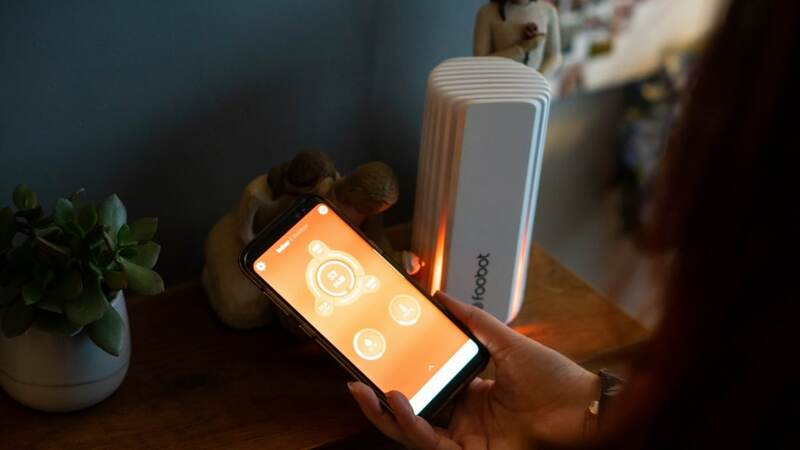 With two colours you can instantly see how your air quality is performing. 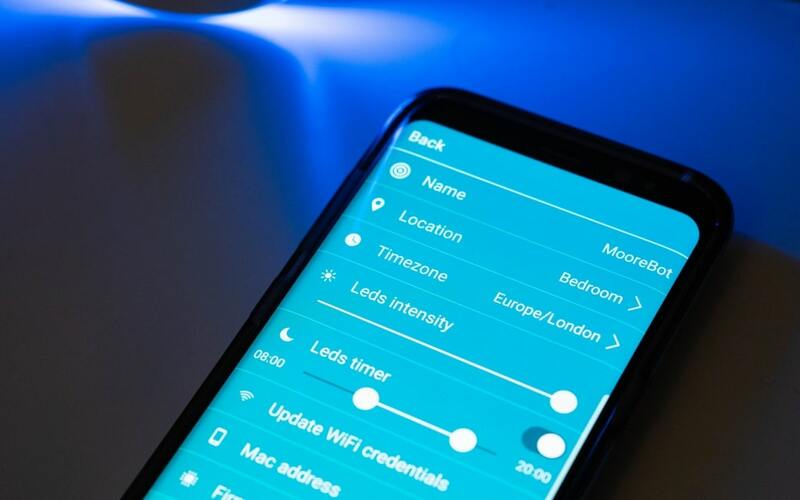 The handy LED’s can also be customized, being able to be turned off at certain times throughout the day and adjust the brightness too. When you’re looking for a more detailed reading, then log into the app and take a look at the information. Here you can find out the current reading too. Each section it reads will have a range of great, good, fair and poor. Measured in numbers you can see where your current reading fits within the scale. Priced at £179 it is an investment, but I think it’s competitively priced with similar products on the market. 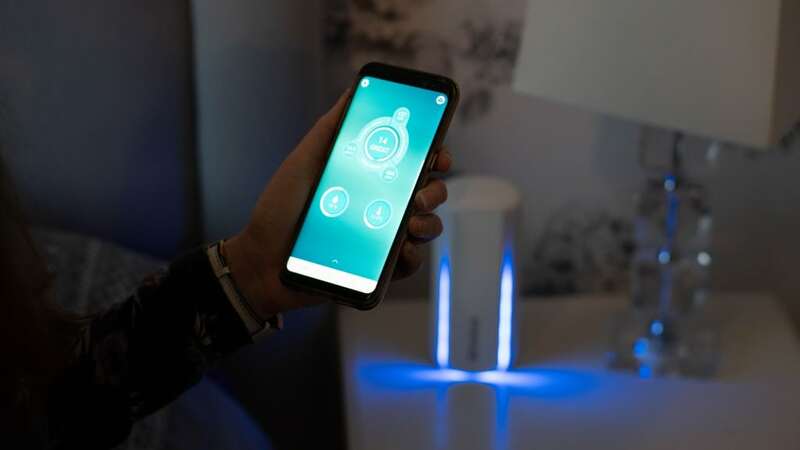 It can also work with smart devices such as Google, Nest and Amazon Echo or to dozens of devices via IFTTT. So once you’ve worked out you need to improve your air quality, then you need to work out how! Foobot has put together some brilliant tips and I have selected my top 9 tips that I loved. 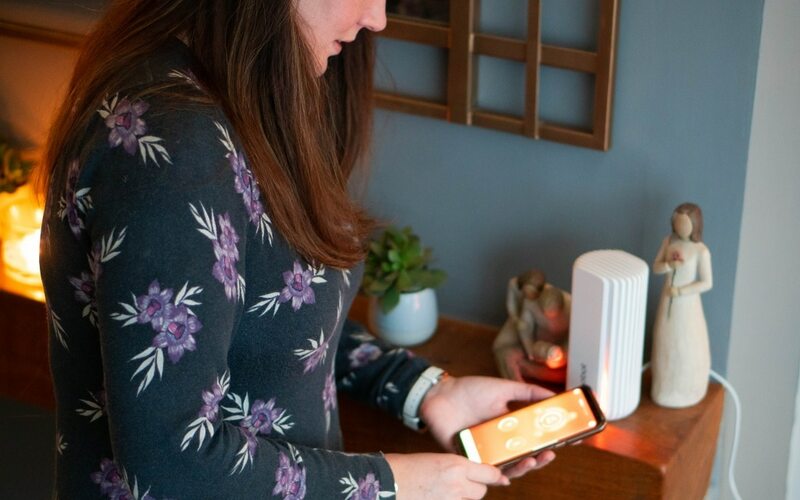 Once you have the information on the quality of your home’s air, you’re ready to take steps to improve it for the health of everyone in your home. Luckily my kids don’t seem to have any allergies so far, but my husband has a pretty bad dust allergy and also bad hay fever. We always leave our shoes at the door, and have a strict ‘no outdoor clothes on the bed’ policy. This looks fantastic. My Husband and eldest suffer with allergies which have got a lot better since we moved away from the field which was behind our old garden! 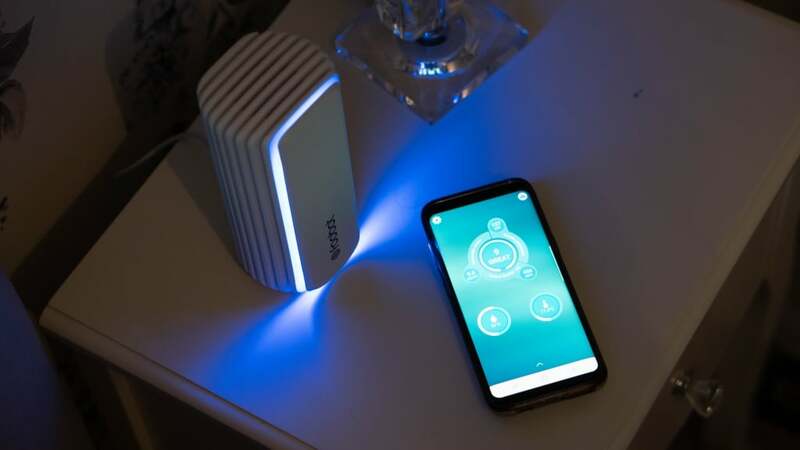 This would be great to monitor the air at home. I’d be really interested in using this. I suffer with asthma so it would be handy to have. Plus the benefit of picking up on any carbon monoxide. I saw something like this on Grand Designs one day, a family were using it for their boys who had severe allergies. Such a nifty little device. This is so clever and interesting. I can imagine the great benefits of using this, especially for allergy sufferers.